Pennsylvania is home to many volleyball teams like the University of Pennsylvania Athletics volleyball team! If you are in love with volleyball, nothing can improve your skills and give you the chance to practice in a perfect atmosphere quite like PA volleyball summer camps can! Whether you are just starting out in the sport or are a veteran player hoping to play for pro teams, volleyball camps can help you achieve your goals. Practice fundamental skills and learn new techniques to help you excel at the sport you love. Sports Camp Connection is here to connect you to the right volleyball camp state college PA that will meet all your needs. 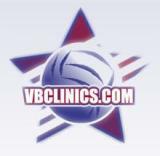 Find all the information you need about volleyball camps in Pennsylvania here for free, start your search now! Join Olympic Gold Medalist Pat Powers at VBClinics Volleyball Camps at the Greentree Sportsplex in Pittsburgh, PA. VBClinics offer two-day volleyball camps for junior high volleyball players and high school volleyball players. Come improve your game at one of the top summer volleyball camps in the country! The Pennsylvania State University Women's Volleyball Camp located in State College PA offers youth athletes an amazing opportunity to learn from top conference coaches and staff. Come experience Nittany Lions Volleyball and take your game to the next level. Request more information today! Join Olympic Gold Medalist Pat Powers at VBClinics Volleyball Camps at the Kelly Bolish gym in Hatboro, PA. VBClinics offer two-day volleyball camps for junior high volleyball players and high school volleyball players. Come improve your game at one of the top summer volleyball camps in the country! The Pennsylvania State University Men's Volleyball Camp located in State College PA offers youth athletes an amazing opportunity to learn from top conference coaches and staff. Come experience Nittany Lions Volleyball and take your game to the next level. Request more information today! The Clarion volleyball program is committed to high school and club volleyball programs in the area and will provide proven instruction in all facets of the game of volleyball. ILC has skilled instructors for the major sports like basketball, tennis, volleyball, soccer and golf. For kids that want to get in shape or train for an up coming session, we have running clubs and weight and fitness classes.